line-up: christina rosenvinge: guitar, piano, vocal; chris brokaw + charlie bautista: guitars; jeremy wilms: bass; steve shelley: drums. chris played on christina's new record. chris will play five shows in europe in february supporting MOGWAI. glaswegians ERRORS will also be on the bill. vienna, austria, "The Satellites of Love" -- an evening of the music of lou reed and the velvet underground. chris will play guitar in a band led by CHRIS ECKMAN (walkabouts, dirtmusic) and featuring members of TOSCA and SOFA SURFERS; songs will be sung by ELENI MANDELL, STEVE WYNN, SCHNEIDER TM, and others tba. new york, ny, at lincoln center at 7:30pm; chris will be one of 200 electric guitarists performing this free, outdoor concert. preview story at the new york times. also read about it at rhys' website. 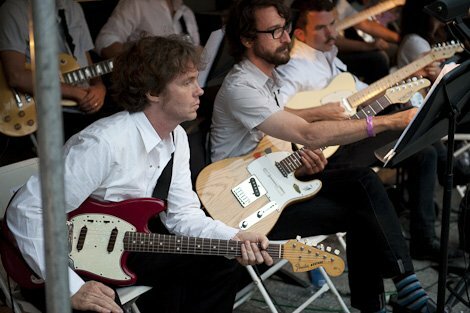 aug 19 -- chris brokaw performs "CANARIS"
brooklyn, ny, at issue project room. 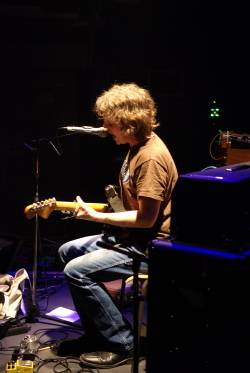 chris will perform the 2008 album "CANARIS" in its entirety. ROBBIE LEE will play an opening set of organ music, and accompany chris on the extended title track. brooklyn, ny, at the new knitting factory location, w/WREKMEISTER HARMONIES. for this show chris will perform in a trio of 12-string players including MICHAEL DAVISON and ZACHARY CALE. 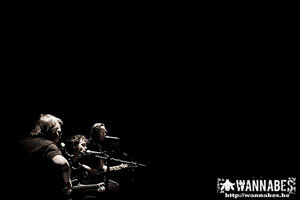 chris will also be performing with wrekmeister harmonies. read more here. EUROPEAN TOUR W/MAGNOLIA ELECTRIC CO.
vienna, austria, at WUK, w/MAGNOLIA ELECTRIC CO.
frankfurt, germany, at brotfabrik, w/magnolia electric co.
munich, germany, at feierwerk, w/magnolia electric co.
torino, italy, at spazio 211, w/magnolia electric co.
rome, italy, at circolo artisti, w/magnolia electric co.
ravenna, italy, at bronson, w/magnolia electric co.
chris plays guitar on 4 songs on evan's new LEMONHEADS cd, "VARSHONS." fellow lemonheads on this disc include JOHN PERRY, KATE MOSS, and LIV TYLER. see the lemonheads site for details. montpelier, vt, at the lamb abbey, 3PM SHOW! CHRIS began playing solo in late 1999. initially, the shows were for solo electric guitar and tambourine, but he eventually added vocals, and finally switched to acoustic guitar in 2002. chris also performed in 2005 and 2006 with the CHRIS BROKAW ROCK BAND featuring jeff goddard (ex-karate) on bass and kevin coultas (ex-rodan) on drums. 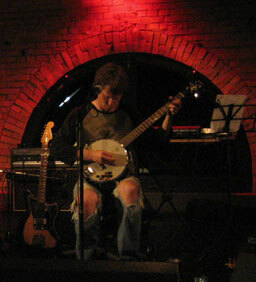 chris' solo records include "red cities" (2002), "wandering as water" (2003), "my confidante + 3" (2004), "i was born, but. . ." original film score (2004), "incredible love" (2005), the "forestry" EP (2007), and "canaris" (2008). chris has collaborated with HUGO RACE (ex-bad seeds) and CHRIS ECKMAN (ex-walkabouts) as DIRTMUSIC since in 2007, when they recorded their first album in prague, later released in late 2007 on GLITTERHOUSE RECORDS. their "IN THE DESERT" is a live recording of dirtmusic performing and rehersing in essakane and bamako, mali, at january 2008's FESTIVAL AU DESERT. 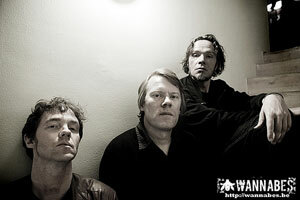 the band returned to mali in january 2009 for 2 weeks to record their new album for glitterhouse records. they were joined in the studio by members of the malian band TAMIKREST. the album is slated for release in 2010.
chris and GEOFF FARINA (ex-karate) have been performing together since late 2006 and have recorded an album comprised almost entirely of pre-WWII blues songs. entitled "THE ANGEL'S MESSAGE TO ME", it will be released by chris's new label CAPITAN RECORDS in early 2009.
chris has performed in this band with DOUG MCCOMBS (pullman, tortoise, 11th dream day, etc) and ELLIOT DICKS (ex-nerves) sporadically since 2006. they've been recording on and off in chicago since 2008.
a side project from moore's work with SONIC YOUTH, the band was first put together to tour in support of moore's solo record "trees outside the academy," released in september 2007. chris plays guitars in the band, which also includes STEVE SHELLEY, SUMARA LUBELSKI, and TOM HAYNER. "LIVE FROM SOHO" is an itunes exclusive 9-song EP, february 1, 2008, recorded live at the apple store in new york city, autumn 2007. video: chris and thurston at sxsw in 2008. THE NEW YEAR showcases the songwriting of matt and bubba kadane, best known for their work with the dallas band BEDHEAD. the new year includes the kadanes, peter schmidt on guitar, mike donofrio on bass, and chris b. on drums. the band's third recording, "the new year," was released september 9 2008 on touch and go records.